As the revised total coliform rule (RTCR) became mandatory in April, all public water systems are required to accept new criteria and treatment techniques for addressing possible sanitary defects. The group of bacteria for which the rule is named after was previously adopted for such a role, with the implementation of the original total coliform rule (TCR) in 1989. Since that time the analytical methods used for monitoring coliforms, commonly known as “Bac-T” tests, have jumped to the forefront of bacterial testing in the water industry. The notoriety these methods have gained as a result of these regulatory actions has not been unexpected. However, the general understanding of biological testing and its ability to provide additional insight into the fouling potential and operational aspects of a well has, in large part, taken a back seat to coliform testing. Even worse, misconceptions regarding the interpretations of Bac-T testing results have risen, leading to a state of confusion with suppliers, regulators, and consumers alike. The ability to account for other species of bacteria responsible for biofouling and assess the overall biological load can be a valuable tool in extending the life of a well and preventing costly maintenance procedures. 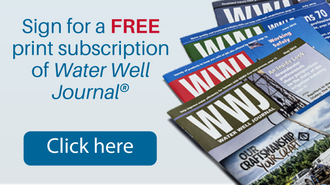 Increasing demands on produced water quality and a greater emphasis on asset management are resulting in a growing need within the industry for more accurate monitoring of water wells and the fouling mechanisms they are susceptible to. “Bac-T” testing, coined from the methods available for coliform detection, has become the industry standard for determining drinking water’s sanitary quality due to regulatory actions put in place by the U.S. Environmental Protection Agency. A group of closely related bacteria, coliforms have earned the role of “indicator” organisms due to their similarities to a variety of bacteria, parasites, and viruses all known to be harmful if consumed. Simply put, the presence of coliforms in water suggests the probable presence of other known pathogens—diseasecausing organisms. The water industry has come to rely on this renowned organism as an answer to the impractical alternative of testing directly for the numerous pathogens potentially inhabiting a water supply. Yet, the practicality of this method does come with a few qualifiers. First, “coliform” does not refer to a single species of bacterium. Rather, coliforms are a large group of bacteria, most of which occur naturally in the environment and pose little risk if consumed. animals and accordingly indicate a true contamination event. Additionally, the presence of coliforms only suggests the potential presence of more problematic organisms; they don’t confirm it. And more important, the absence of coliforms doesn’t confirm a water sample is free of harmful microorganisms. To illustrate this point, in the most recent Centers for Disease Control and Prevention’s Surveillance for Waterborne Disease Outbreaks Associated with Drinking Water report, Legionella was found to be responsible for 66% of all the drinking water–associated disease outbreaks from 2011-2012. All other non-Legionella bacteria collectively accounted for just 16% of the confirmed outbreaks. Legionella is a pathogenic group of gram-negative bacteria including the species L. pneumophila, responsible for Legionnaires’ disease. Yet they are not detected by coliform testing. Coliform evaluation using the Simplate method. The test method confirms the presence of coliforms and allows for enumeration of the occurrence. As the groundwater industry continues to adapt to the ongoing challenges of production and water quality, developing a better understanding of the fouling mechanisms impacting our wells is essential. 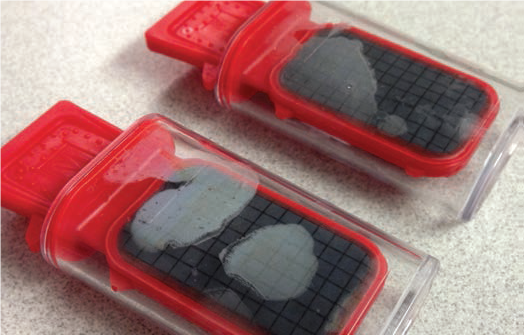 While Bac-T testing gives some indication of the sanitary conditions of water, it does not consider the role bacteria play in fouling outside of the context of potential health risks. In reality, bacteria have the means to influence production, materials, and water quality through a number of tactics. Perhaps the most influential bacterial fouling mechanism is the formation of biofilm. Biofilm is a naturally occurring expression of bacteria resulting from the extrusion of a slimy polysaccharide exopolymer. Bacteria exude this slime as a means of attaching themselves to a smooth surface for propagation, nutrient capture, and growth. Biofilms act as suburban communities within a well system, developing in numerous locations and supporting a combination of different types of bacteria, including aerobic (oxygen present) and anaerobic (oxygen absent) organisms. of mineral scale, further complicating well operation. Similarly, fine-grained sediments and debris, mobilized towards the well during operation, often become entrapped in biofilm, increasing the fouling potential. A phenomenon commonly observed in biofilm is stratification within the biofilm matrix—which not only increases the relative density and fouling potential of the biofilm, but also reduces oxygen levels in the deeper layers where anaerobic bacteria can thrive. This layering effect can harbor more harmful organisms, such as coliforms, and severely impede disinfection efforts. The increased stratification can also result in a more stubborn accumulation that challenges removal strategies. the proper environment and necessary nutrients must be available. MIC often occurs in the form of pitting but can also be seen in any number of other forms of corrosion. metabolic processes. A prominent example of this is the reduction of sulfate (SO2−4) to hydrogen sulfide (H2S) by sulfate-reducing bacteria (SRBs). biofilm matrix near the surface. This results in the surface area under the biofilm becoming anodic to the area exposed to the bulk aqueous phase. stainless steel, are susceptible to this form of pitting. Degraded water quality is likewise a common result of bacterial fouling. Foul tastes and odors, resembling rotten eggs, can be created by the previously mentioned SRBs and other microorganisms. Increased turbidity can result from both living and dead bacterial cells in solution, as well as from the detachment or sluffing off of biofilm from surfaces. Discoloration, most commonly in the form of red water resulting from elevated iron levels, can also be a direct result of bacterial fouling. These unpleasant conditions don’t typically present a health threat, but they can become very costly to remedy during the treatment process. 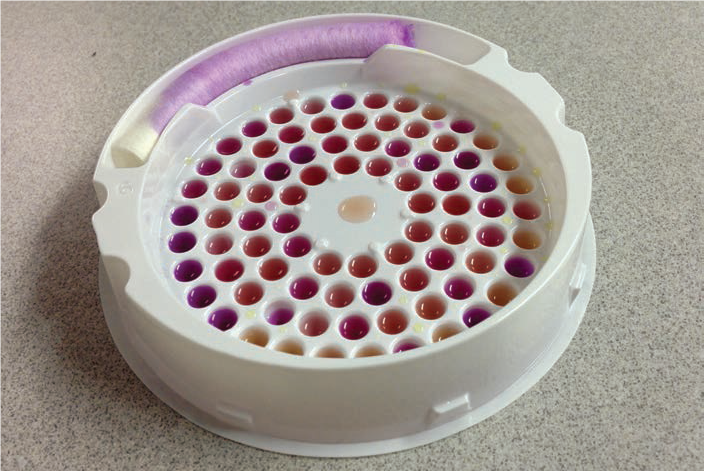 The heterotrophic plate count testing method provides an assessment of viable biological growth in response to a specific agar. Because of the large number and diversity of microorganisms which can be found in water supplies, their ability to impact well fouling is increased and any attempt to monitor their activities must be weighed against the effort required to do so. A point of diminishing returns must be identified, and often that point is when the data, and insight derived from it, does not increase relative to the amount of time and expense employed to conduct the testing. If we use a basic understanding of bacteria and consider the types that have the greatest impact on our wells, combined with the knowledge of the advantages and limitations of the Bac-T (coliform) test, the selection of testing methods most suitable for monitoring bacteria then becomes more feasible. The implementation of coliform testing has addressed the need for timely and affordable testing related to the presence of potentially harmful bacteria. But the knowledge of other biological fouling mechanisms implores us to expand our horizons to other types of bacteria which can influence our wells. Quantifying the total bacterial population offers a good starting point in monitoring biologically based fouling by essentially illustrating the overall biological load within a well. 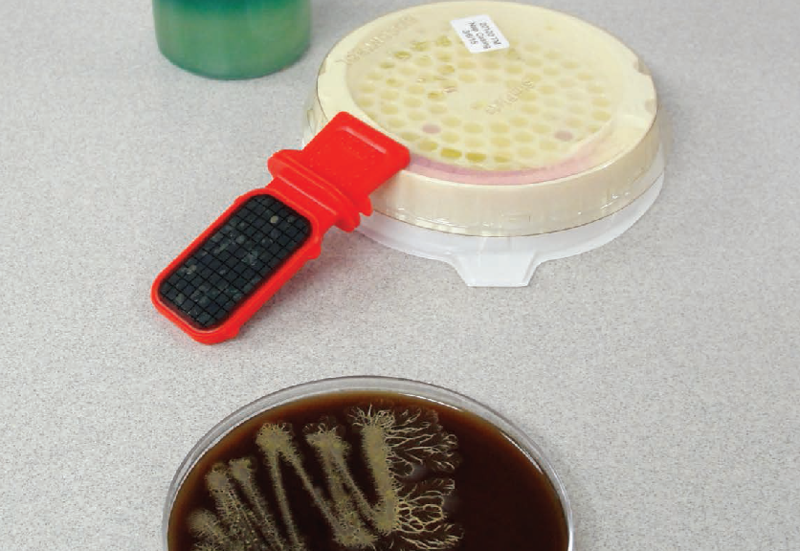 A variety of methods, including heterotrophic plate counts (HPC) and adenosine triphosphate (ATP), are available and offer quick, relatively inexpensive approaches to determining the level of bacteria present. An additional benefit of ATP testing is it is non-reliant on culturing the available bacteria, which often proves to be unconducive to a large percentage of the available bacteria in a laboratory setting. Once the population size is determined, it can be further dissected into subgroups much in the way a census is conducted. In the world of biological testing this can be done in a number of ways with varying degrees of detail. But in sticking with the approach of gaining the most bang for our buck, a simple designation to begin with is the differentiation between potentially harmful organisms and those that do not pose health risks but can cause other fouling issues. but because they can be damaging to the infrastructure of a well, drastically change the quality of water being produced, and cause increased maintenance and treatment costs. Detection of many of these bacteria can be accomplished through relatively simple scientific testing. Microscopy can be used to not only observe active bacteria, but also detect masses of biofilm accumulations and in some cases actually identify bacteria themselves. One such example of this is ironoxidizing bacteria, many of which are easily identifiable by the structure of the stalks they produce. Simple nutrient characterization assays are also available to assess anaerobic bacteria, including SRBs. Other tests used to identify specific bacteria include polymerase chain reaction, DNA sequencing, and phenotype microarrays. These methods vary greatly in time and cost which should be considered in determining if they are suitable for your needs. In order to decipher which biological tests are most appropriate for a well system, it is necessary to first obtain a basic understanding about the microorganisms themselves which inhabit groundwater. Bacteria are an extremely diverse domain of single-celled organisms that can be found in nearly every environment on Earth. prominence of the Bac-T (coliform) test within the industry. However, the need to monitor other groups of bacteria beyond coliforms is valid due to the great influence they can have within the well environment. time frame at an acceptable cost. Centers for Disease Control and Prevention. 2015. Surveillance for Waterborne Disease Outbreaks Associated with Drinking Water—United States, 2011–2012. Atlanta, Georgia: CDC. Duderstadt, Eric. 2013. “Customize Biological Testing for Best Results.” Opflow 39, no. 2: 20-22. Schnieders, Michael. 2015. 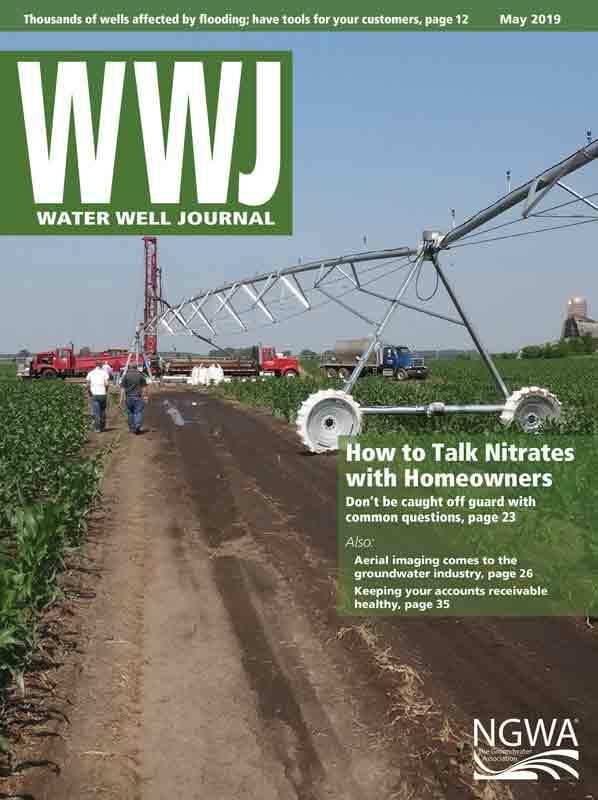 “Well Testing: Regulatory vs. Maintenance.” Water Well Journal 69, no. 5: 23-25. Eric Duderstadt is an environmental biologist with Water Systems Engineering Inc. of Ottawa, Kansas, where he works as a consultant. He earned his bachelor’s degree in biology at Ottawa University in 2007 and has since become certified as a corrosion technician within the National Association of Corrosion Engineers. He also works within the firm’s research department and investigative laboratory centering on microbiology and chemistry. Duderstadt can be reached at eduderstadt@h2osystems.com. Are You Making Your Prospect Drink from a Hose?